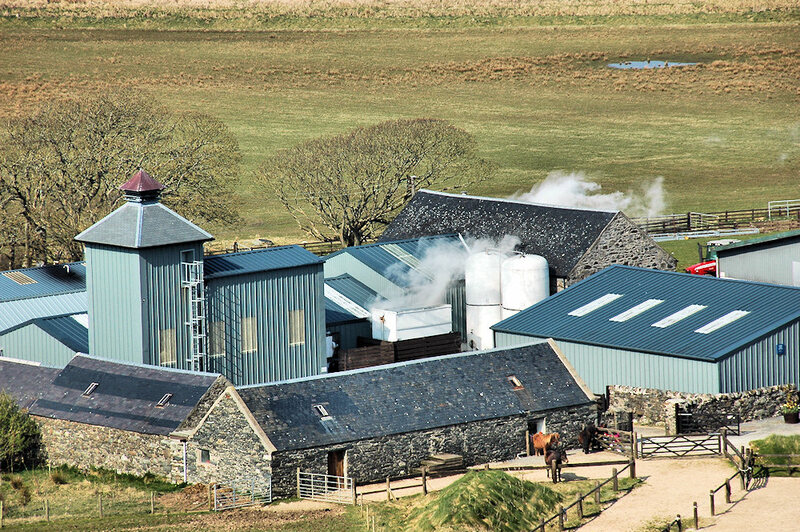 A view of Kilchoman distillery at Rockside Farm from the hills behind the farm. The warehouse front right, still house in the brick building on the back right. Malt floor and kiln in the new buildings on the left. The stone buildings front left belong to Rockside Farm horse trekking.